Technological advances in trauma patient management, microvascular repair, and fracture fixation have allowed surgeons to maintain viability in many severe traumatic extremity injuries that would have historically resulted in amputation. Although limb salvage may seem to be the optimal goal for the patient, the end result may be a prolonged treatment course that results in significant morbidity, financial cost, and even mortality in some instances. The emergent management of the mangled extremity therefore poses a difficult decision for both the surgeon and the patient. Numerous factors have been implicated as being significant in the natural history of these injuries, and a number of scoring systems incorporating these factors have been proposed to help guide the treating surgeon. The four most commonly used predictive indices include the Mangled Extremity Severity Score (MESS), the Predictive Salvage Index (PSI), the Limb Salvage Index (LSI), and the nerve injury, ischemia, soft-tissue contamination, skeletal injury, shock, and age (NISSSA) scoring system. There has been much controversy over the utility of these grading systems in their ability to predict successful salvage of the mangled extremity. They have also not been shown to be useful in predicting final functional outcome following treatment. The recent data published from the LEAP study group has provided us with much valuable information regarding final outcome following these specific injuries. There is a significant difference between severe traumatic injuries of the upper extremity versus those of the lower extremity, and they require specific mention. The pediatric patient with such an injury may require special consideration. 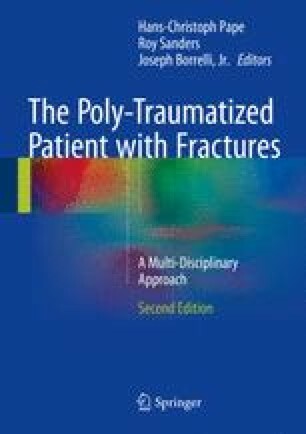 A mangled extremity in the setting of a polytrauma patient must be evaluated with different criteria as well. Carragee EJ. Re: BMP-2 augmented fusion in the low-risk, healthy subjects: a confirmation of effectiveness, harms highlights the need for study in high risk patients. Spine (Phila Pa 1976). 2014;39(4):341–2. http://www.ncbi.nlm.nih.gov/pubmed/24162132.